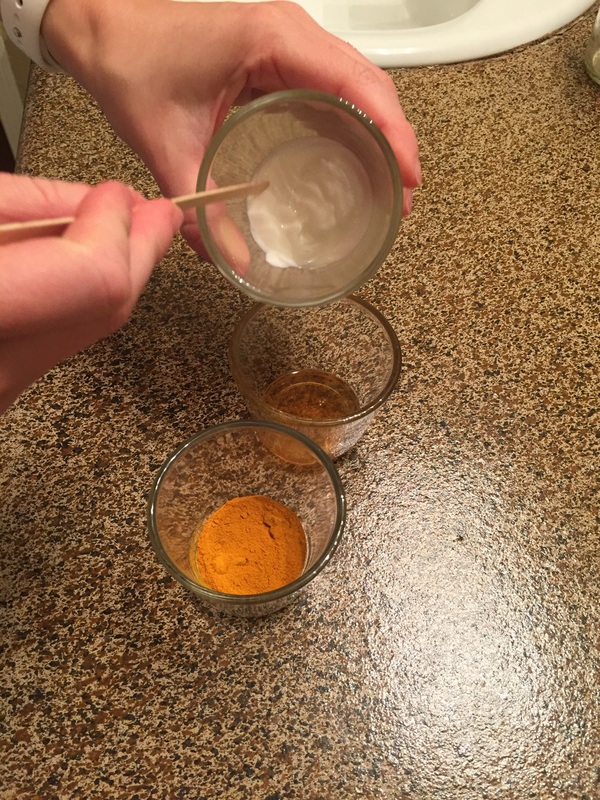 DIY Turmeric Face Mask | Lauren, Etc. 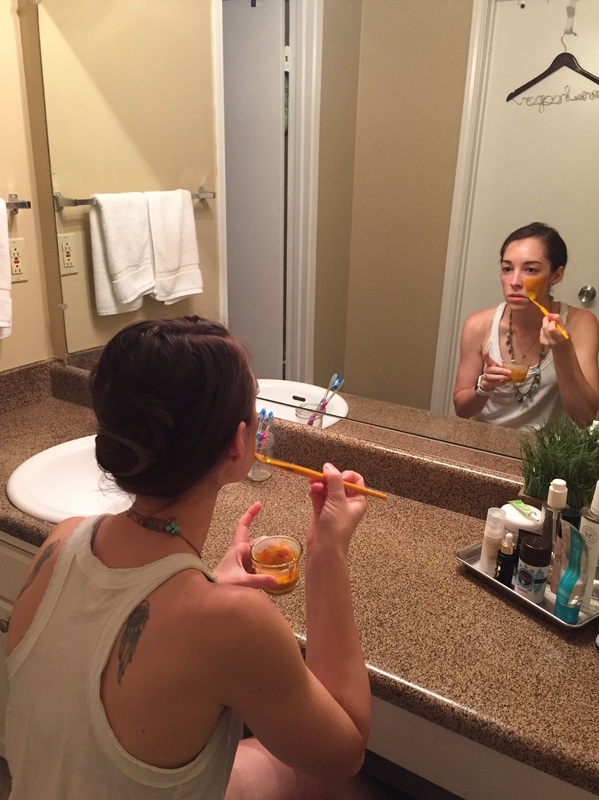 Turmeric has been used in the Ayurvedic medical system for centuries and turmeric face masks have been a part of the east Asian beauty routine just as long. 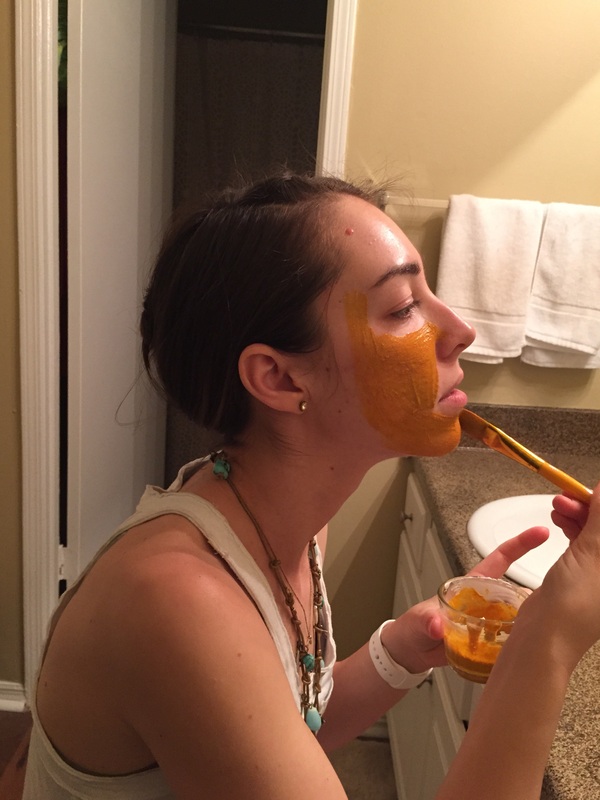 Women prepared masks of turmeric as a ritual part of their wedding preparations, leaving their skin glowing and flawless. 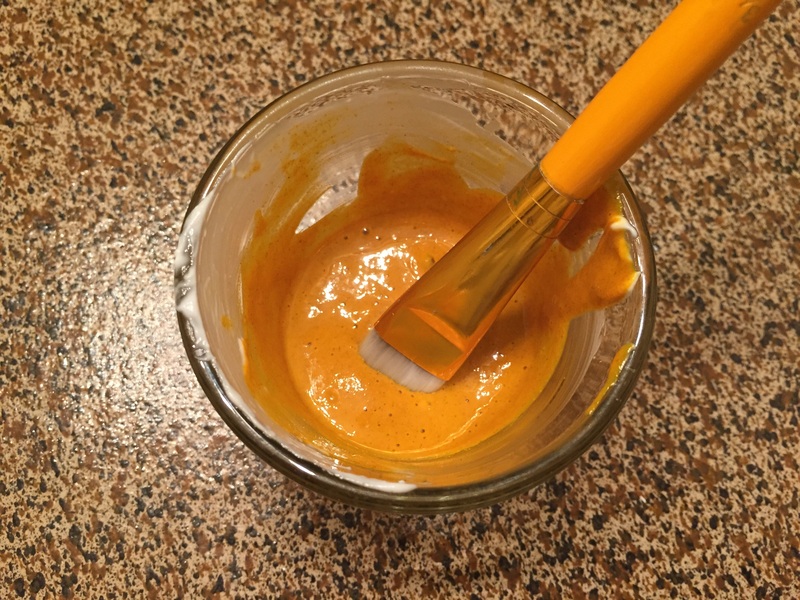 External use of turmeric prevents and heals blemishes, eases rosacea, and softens lines and wrinkles. With the added benefits of yogurt and honey, this moisturizing and healing mask is a great addition to anyone’s beauty routine. Mix ingredients well and apply immediately. Allow to dry 20 minutes while enjoying a leisurely activity (see photo above). Remove with warm water. 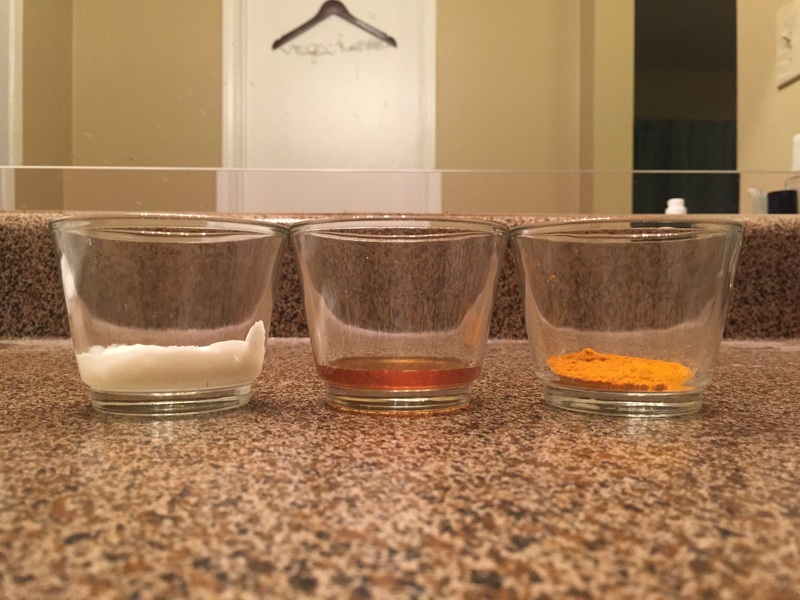 Quick tips – Turmeric will stain anything it comes in contact with so be careful to not wear your favorite t-shirt. 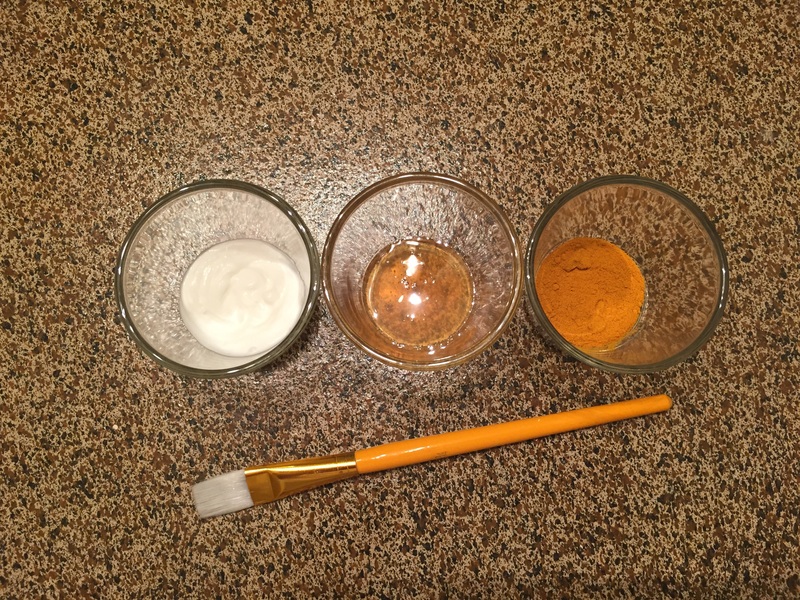 I used a brush for application to prevent the turmeric from staining my hands. 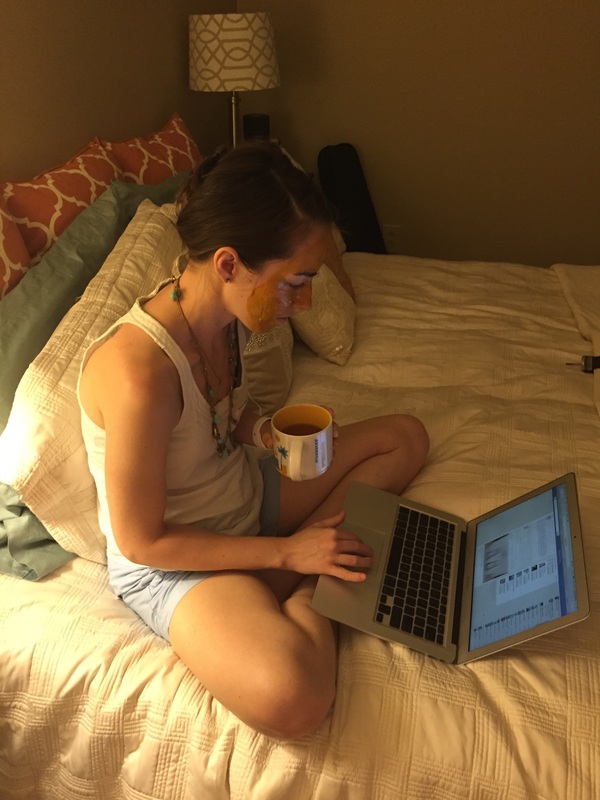 I also washed my face thoroughly before and after applying the mask. Use twice a week or every couple weeks depending on your preferences. 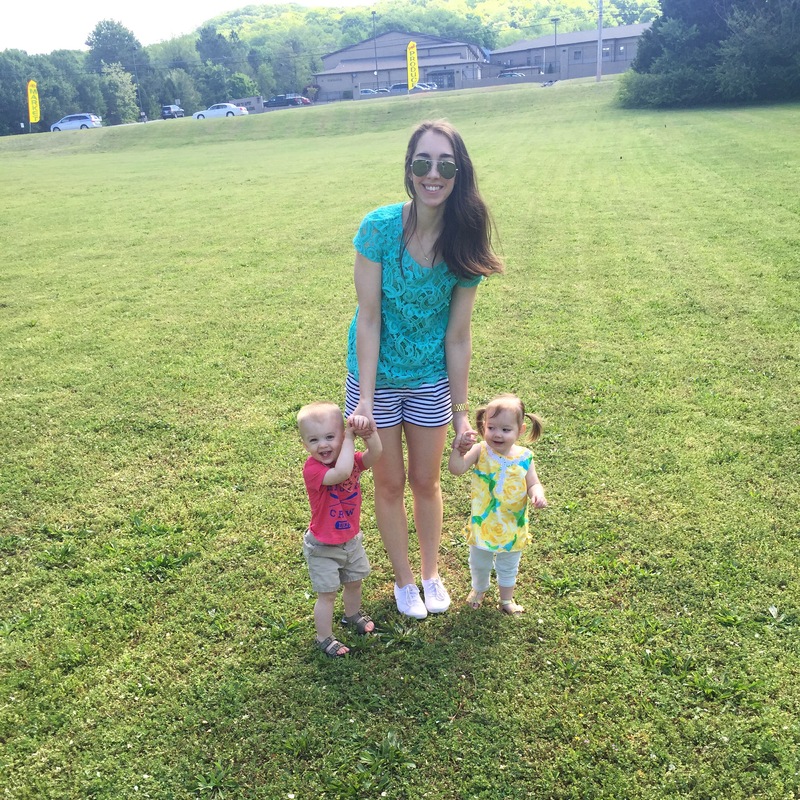 Great post Lauren. I will definitely try this mask out. I love how easy the recipe is. Thanks for sharing the history behind it too. Thanks, Marly! I hope you enjoy trying out this mask! This is a great tip! I’m definitely going to try it out.